Neck and back pain are among the most common ailments and Back pain is the most common cause of work-related disability and causes more lost workdays than any other ailment. Usually, neck and back pain are benign, self-limiting disorders. Many patients with neck or back pain recover spontaneously within a few days, weeks, or months. Patients with more chronic pain in the back or neck will usually recover more quickly if they enter into a treatment program designed to strengthen the core muscle groups in the neck and back in a structured way. 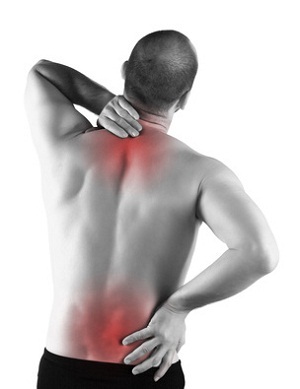 Back and neck pain in adults, is often not directly related to a significant accident or injury. The cause in many cases is not clear and although symptoms may be quite disabling at first, they mostly disappear over time on their own. In few cases an accident may be the direct cause of neck and back pain. Common injuries include heavy lifting, car accident or a fall. A thorough medical evaluation is very important to ensure no significant injury to bone, discs or other spinal structures. Even if no major structural injury is noted, significant and long-term pain may build up. This pain is sometimes enlarged by psychological components such as the fear of ensuing complications, disability and interference with work. Most often, neck and back pain derives from benign, self-limited musculoskeletal derangements, such as muscle strain, and ligament sprain. Other common causes include osteoarthritis and fibromyalgia. Serious causes include infections (eg, infectious arthritis, diskitis, osteomyelitis, spinal epidural abscess), metastatic vertebral tumors (most often from breast, lung, or prostate), tumors (primary tumors of vertebrae or spinal cord), injuries (eg, fractures, dislocations, subluxations), and spinal cord compression. Causes of spinal cord density include injuries, herniated intervertebral disks including the cauda equina syndrome, tumors, and subluxation of the first cervical vertebrae on the second (atlantoaxial subluxation). The cause of neck and back pain, Neurologic symptoms and signs are particularly important to extract. Onset with injury is usually apparent, but some patients don’t connect painful spasm with an apparently minor strain the previous day. Pain from injury is localized, relieved by rest, and worsened by action. Pain from infection and growth is constant, unrelieved by rest, and progressive. Pain that is diffuse or changes locations, mostly if unrelated to other factors or associated with poor sleep, suggests fibromyalgia. Morning firmness of the spine and muscles of the proximal extremities, particularly in an older person, suggests polymyalgia rheumatica. Neck or back pain is usually treated with oral analgesics (eg, acetaminophen, NSAIDs). Acute muscle spasms may be relieved by heat or ice. Oral muscle relaxants (eg, cyclobenzaprine, metaxaloneSome) are controversial; because of their CNS adverse effects, these drugs should normally be avoided in elderly patients. Opioids may rarely be necessary for severe pain. Spinal manipulation may help pain caused by muscle spasm or after a severe back injury; however, some forms of manipulation may cause risks in patients with disk disease and osteoporosis. Prolonged bed rest and spinal traction aren’t beneficial. Diathermy may help decrease muscle spasm and pain after the acute stage. Maintaining good nutrition, avoiding excess weight, and staying away from tobacco products can also significantly benefit those suffering from neck and back pain.